In 1841 Auguste-Denis Lagoute infused local blackberries from Dijon to create the first crème de cassis liqueur. 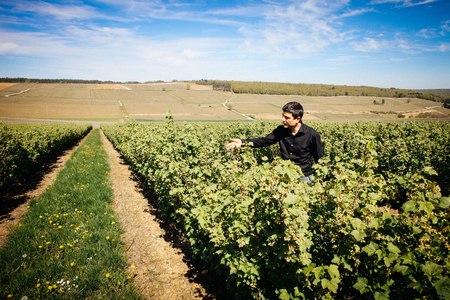 Today, the company he started, Lejay Lagoute remains one of only four producers in the French town of Dijon permitted to make ‘Crème de cassis de Dijon’. 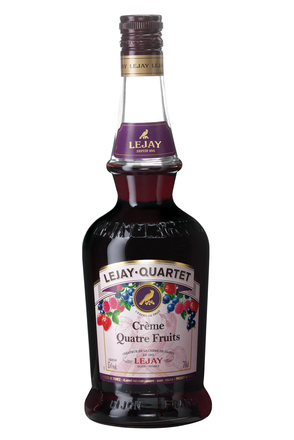 Known by many as simply ‘Lejay’ or ‘Le Jay’, hence the distinctive jay bird motif on their labels, Lejay Lagoute are the original makers of crème de cassis. 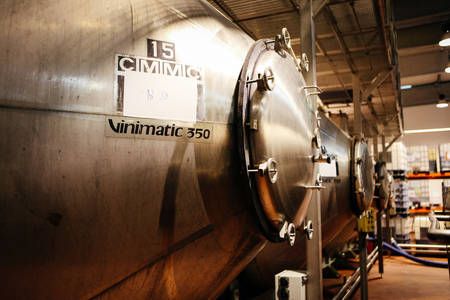 They are also the leading producer, making six million out the nine million bottles sold annually. As the original creators of crème de cassis, Lejay Lagoute have been making this blackcurrant liqueur longer than anyone else and still make their cassis according to the original 1841 recipe using the same techniques established by Auguste-Denis Lagoute. 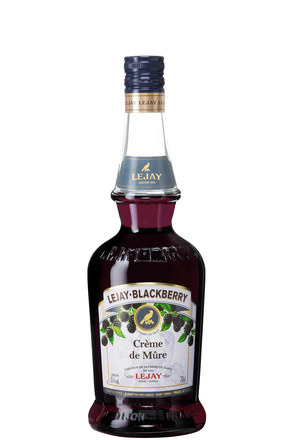 Unlike other producers who source berries from Eastern Europe, Lejay Lagoute proudly make their crème de cassis exclusively using French blackcurrants, buying 10% of the country’s total production, some 1,300 tons annually. Lejay also source most of their berries locally in Burgundy with the balance coming from the nearby Loire Valley and north of Paris. 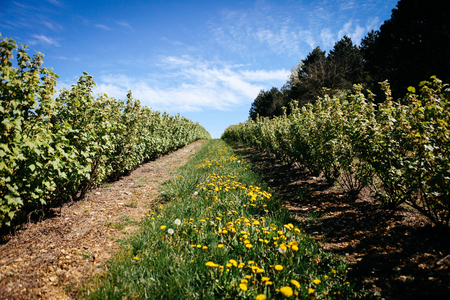 Five year contracts with growers ensure continuity of supply, quality and price, and importantly control use of pesticides and fertilisers so ensuring a very low chemical content in the berries. 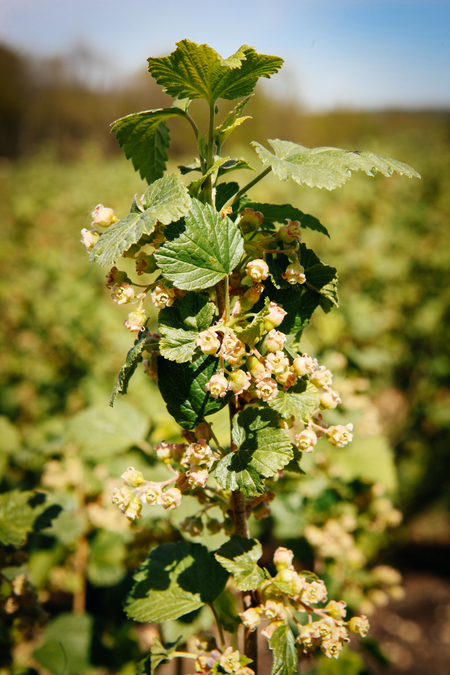 Lejay are unusual in their use of only Noir de Bourgogne and Black Down blackcurrant varieties, renowned for their aromatic intensity these traditional varieties are far more expensive due to their low yield per acre. 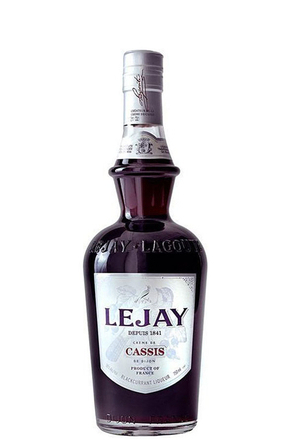 Lejay’s flagship cassis is made using 100% Noir de Bourgogne. 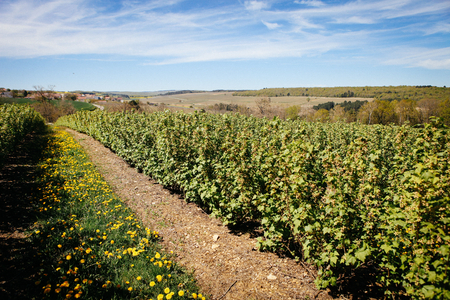 Harvesting of the blackcurrants occurs between mid-June and late July. 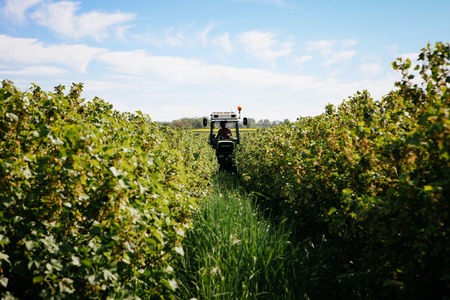 The same machines used to harvest grapes are driven between the rows of blackcurrants, shaking the ripe berries from the bushes. These are caught by the harvester’s conveyors and loaded into small plastic baskets to prevent the weight of the berries squashing those below. The loaded baskets are staked and transported to a nearby cold store where they are quickly frozen and then re-packed into large plastic sacks. 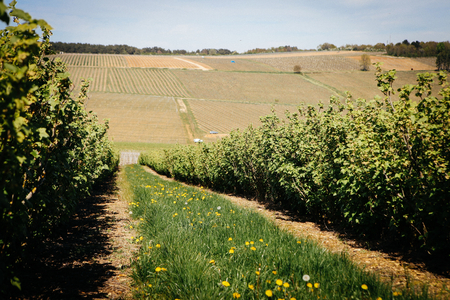 Freezing preserves the berry’s freshness and aromatics, and allows production to continue throughout the year. 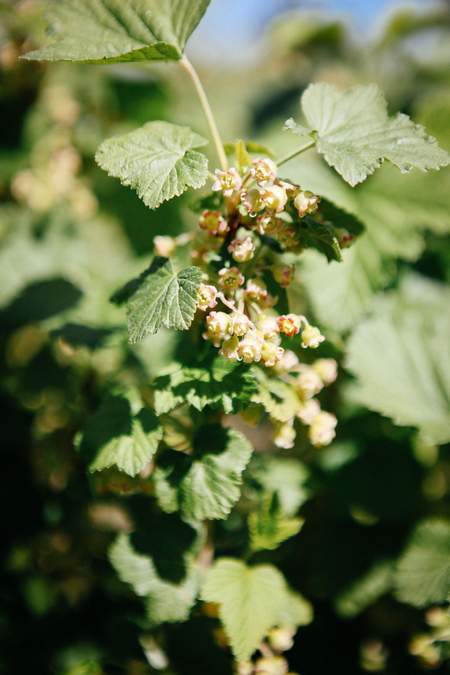 Freezing breaks the fruit’s cell walls so better allowing the alcohol to extract the berry’s flavour during maceration. 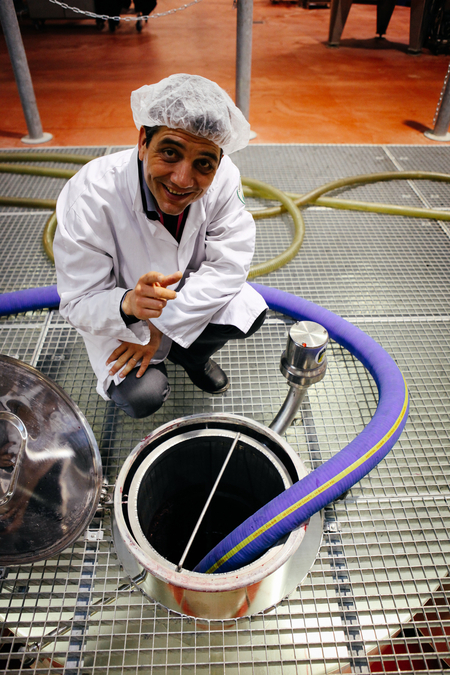 The blackcurrants are macerated in sugar beet neutral alcohol for 6 to 8 weeks in stainless maceration vats (a process known as ‘dodinage’). 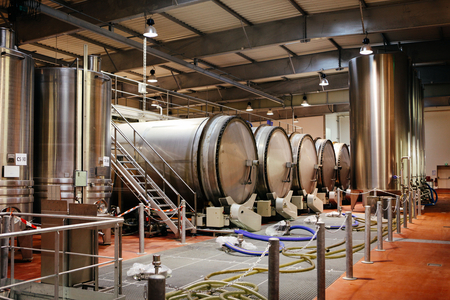 Each vat has a capacity of 350 hectare litres and each maceration uses 18 tonnes of berries and 6,000 litres of alcohol reduced to 70% alc./vol.. 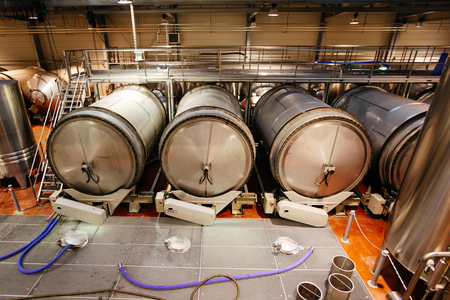 Importantly only gravity and time is used - the vats sit stationary at a constant cool 14 to 18°C. 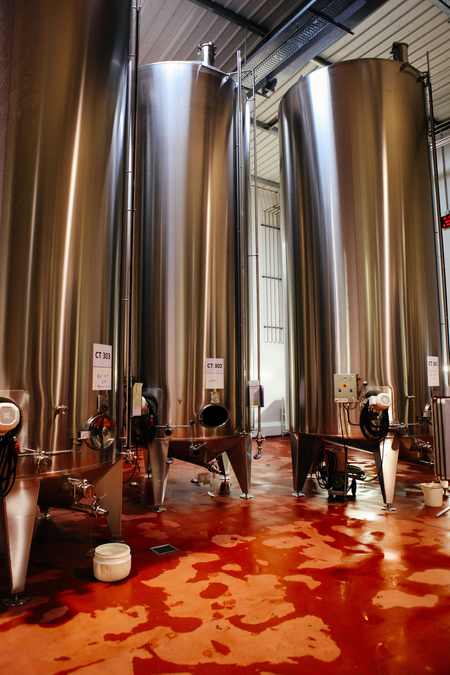 While Lejay Lagoute use static maceration, as stipulated by Auguste-Denis Lagoute in 1841, most other liqueur makers macerate their berries in revolving vats. This rotating action dramatically reduces the time needed to extract the berry’s flavour but can destroy delicate pectins and other molecules. 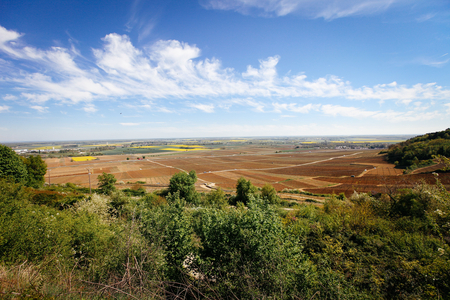 Lejay Lagoute maintains that this affects consistency, the long term colour of the product, shelf-life and leads to sedimentation in the bottle. 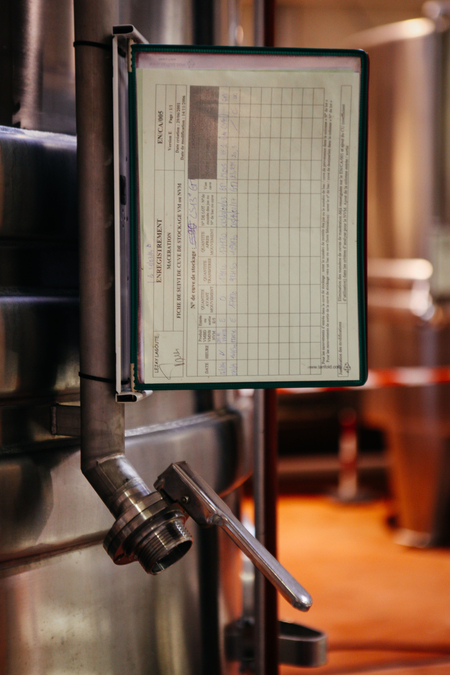 After six to eight weeks, when extraction of flavour and aroma from the berries is completed, the vats are drained and then an Archimedes' screw used to push the berry sludge out of the vat. This is then slowly and gently pressed to extract more valuable juice and alcohol. 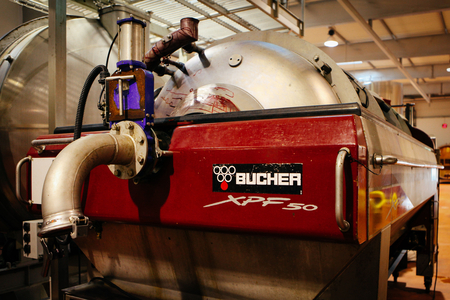 Pneumatic bladder presses gently apply pressure at just 0.2 bar (2.9 psi) at a time to finish with a total of just 2 bars (29 psi) of pressure at the end of the 8 to 10 hour pressing. 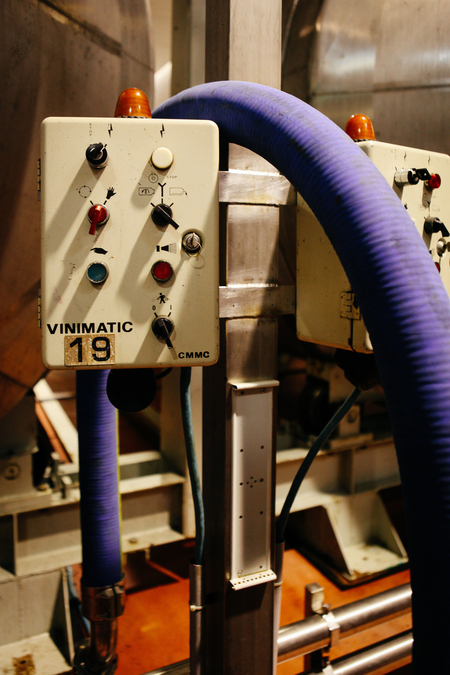 This gentle pressing ensures the seeds and skins are not crushed which would impart undesirable tannins. 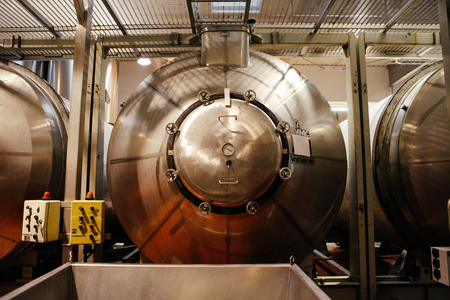 Gravity is used to transfer the juice infused alcohol to one of five underground tanks where it is rested to allow sediment to fall and settle at the bottom of the tank. It takes a minimum of 8 hours for the sediment to settle with the desired clarity achieved in 10 to 12 hours. What Lejay call the ‘vierge melange’ (virgin blend) is then carefully drawn off to leave the fallen sediment behind. 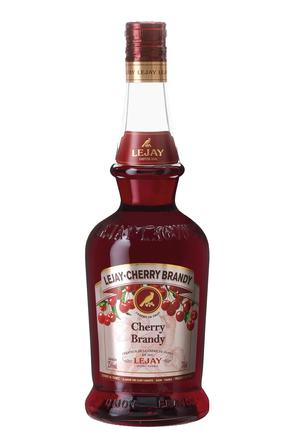 No filtration is used but thanks to static maceration, gentle pressing and this final settling period, sediment doesn’t occur in finished bottles of Lejay’s crème liqueurs. 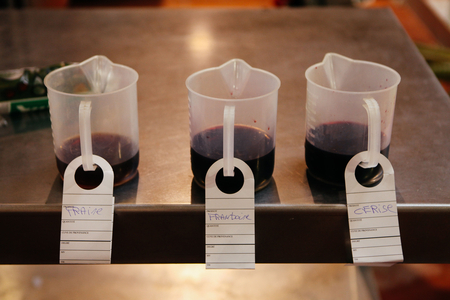 Most other liqueur makers use modern filtration techniques but Lejay Lagoute believe this stripes out pectins and fatty acids so damaging aroma, colour and flavour. 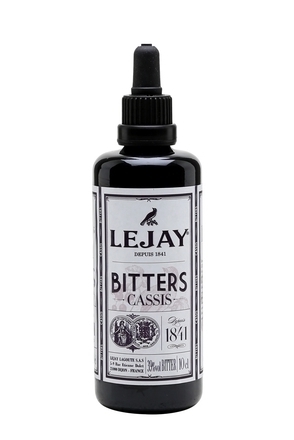 Lejay do not use additives in their crème de cassis but add intensity with small quantities blackcurrant bud infusion (around 3.15 litres in a blend of 7,500 litres). 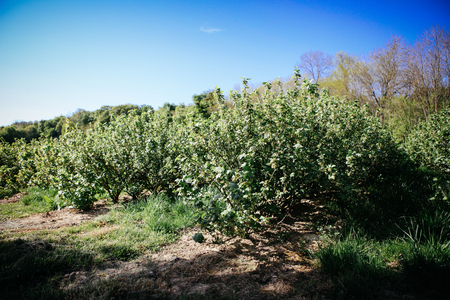 The buds are hand-picked in January and two batches of infusion made immediately after harvesting. 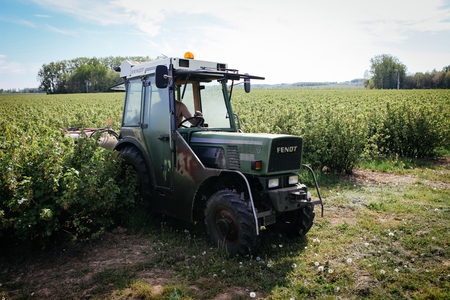 Picking the buds means these bushes will not yield fruit that year, effectively sacrificing a field; hence the buds cost around €50 per kilo. 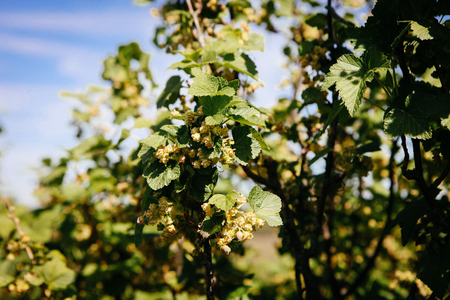 The buds are macerated using the same 8 to 10 week infusion method as the blackcurrants but with a higher alcohol level of 96% alc./vol. to ensure the infusion will not deteriorate while stored over the year. The bud infusion has a pungent aroma reminiscent of cat pee and is valued by the perfume industry for use in scents such as Channel No.5. It is worth stating that flavours such as raspberry infusion, common in lesser cassis are not permitted to be added to any liqueur labelled ‘Crème de cassis de Dijon’. Remember, Lejay Lagoute are one of only four producers permitted to make ‘Crème de cassis de Dijon’. 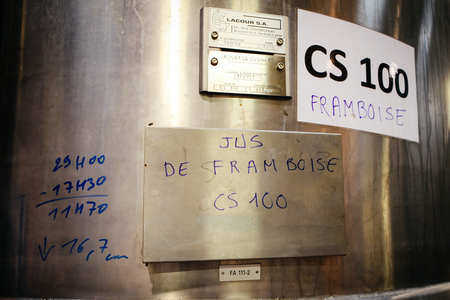 The final part of the process takes place in the blending area where computers use weight to ensure the exact proportion crystallised sugar beet sugar is blended into the cassis – in the case of Lejay’s ‘100% Noir de Bourgogne Crème de Cassis de Dijon’ that’s a whopping 550 grams of sugar per litre. 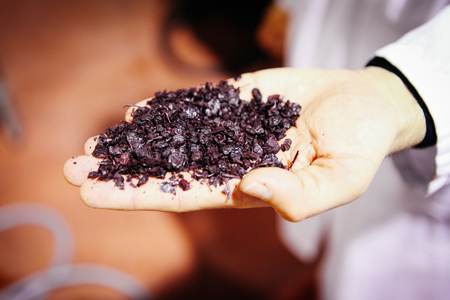 Crystallised sugar is used as liquid sugar would detrimentally dilute rich berry flavours in the crème de cassis. Sugar beet is used as the strong flavour of sugar cane is not desirable. Sugar adds body and mouthfeel, acts as a preservative against oxidisation, enhances the berry’s natural flavour and balances acidity. After the crystallised sugar is added the finished cassis blend is almost exactly 20% alc./vol., so crème de cassis bottled at this strength is a sign of quality. The alcohol strength can of course be adjusted by dilution with water or fortified with alcohol. 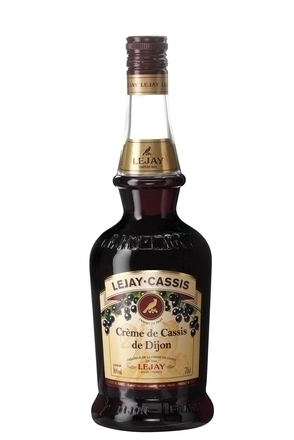 Naturally, Lejay’s flagship ‘Noir de Bourgogne Crème de Cassis de Dijon’ is bottled at 20% alc./vol. without added water or alcohol. 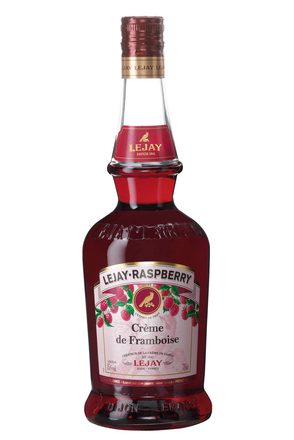 Lejay make their other ‘crème’ liqueurs: such as Mure (blackberry), Myrtille (blueberry), Fraise (strawberry) and Framboise (raspberry) using the same traditional techniques used to produce their crème de cassis. 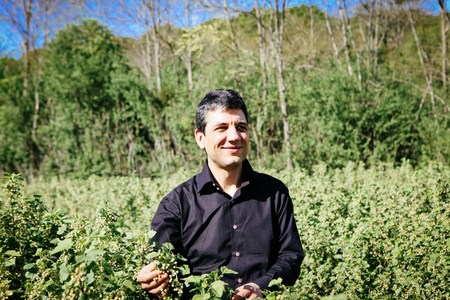 And all of Lejay’s liqueurs are made only using natural products with the few that do include essences, sourced from fragrance specialists in Grasse, France’s perfume capital. 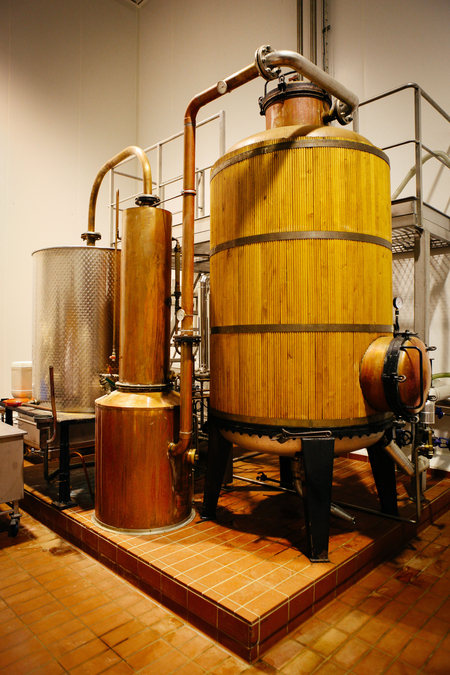 Lejay also produce their own orange distillate which is the base to their triple sec and curaçao liqueurs. Dried bitter orange peels from Haiti are steeped in beet neutral alcohol at 50% alc./vol. 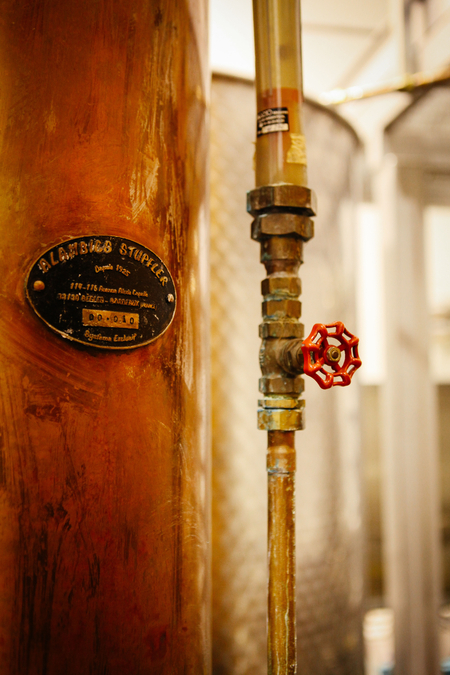 with part of the orange distillate produced in the previous distillation. 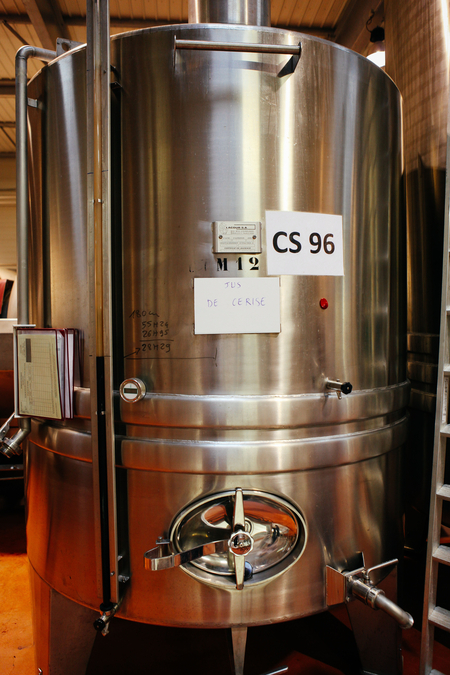 This is left to infuse for 24 hours prior to distillation in Lejay’s 2,000 litre capacity pot still. 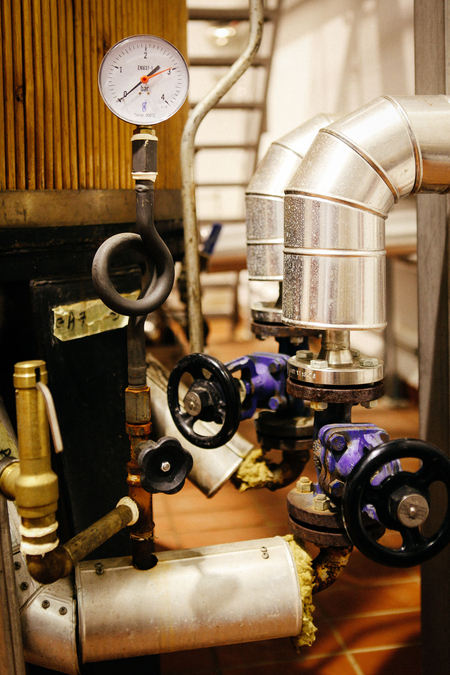 This still forces the vapours through a reflux chamber meaning that in one distillation the heart spirit flows from the condenser at an average of 84% alc./vol.. After heads (10 to 20 litres) and tails are discarded each distillation yields just 400 litres of distillate with half of that set aside to be added to the start of the next distillation. 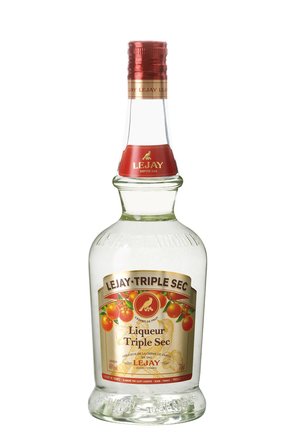 The quality of this distillate is evident in Lejay’s Triple Sec liqueur. 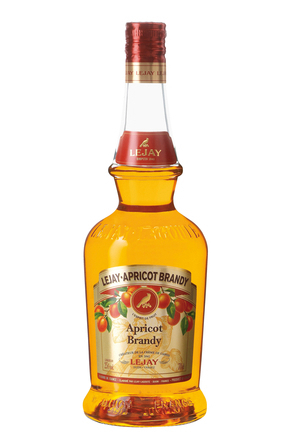 This apricot brandy liqueur is made by Lejay Lagoute in Dijon, France by steeping French apricots in beet neutral alcohol. It is sweetened with 450 grams sugar per litre. Made with apples from the South of France. 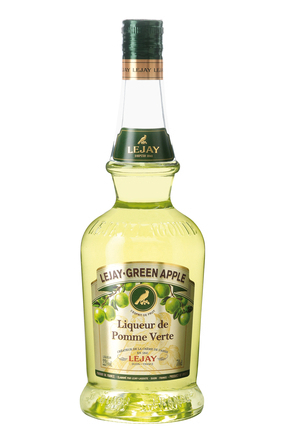 Unusually, rather than use citric acid, Lejay use lemon juice and then filter to make clear. Contains 250 grams of sugar per litre.